The Italian Chamber of Commerce would like to invite you to an afterwork seminar on career development and personal branding. Are you following the right path in order to reach your career goals? What is the difference between mentoring, coaching and counselling? And which one is the best development companion? How much are you aware of what your social media profiles and resume tell about you? These and many more questions will be answered by Giuseppe Milito, Managing Partner and Founder of Stones International, on February 20th. RSVP now to secure your spot! Giuseppe Milito graduated in Political Science with a Major in International Economics from Padua University, Italy. Since 2016, he serves his second mandate as Worldwide Practice Leader, Consumer & Retail of IIC Partners, the world’s 8th largest executive search group of which Stones International is a member firm. His track record in placing CEOs and senior functional specialists in the Fashion & Luxury, Industrial and Automotive sectors spans Asia Pacific (including China, Japan and Korea). Before joining Stones International, Giuseppe worked for 6 years as the Practice Group Leader, Consumer & Retail for a well-known, Hong Kong-based search firm, focusing on the major Asian markets. 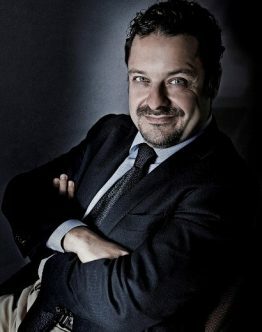 In Hong Kong since 1996, prior to joining the executive search industry, Giuseppe was engaged in the fashion & luxury industries, having he worked for the Benetton Group (Production Planning and Distribution of accessories and travel goods), Fila Group (Production and Distribution of watches and accessories), and later on, in 1999, by joining the German group EganaGoldpfeil, where he was in charge for the development and worldwide distribution of some of the group’s key watch brands).